EZAutomation.net - Your Trusted World-wide Supplier of Automation Control Equipment, including HMIs, PLCs, Industrial Marquees, Power Supplies and More and Competitive Prices. Standard delivery is via UPS Ground. If you would like to use a carrier other than UPS, please indicate which carrier you prefer on your order and specify the shipment method you wish to use (options shown below). Prepaid freight charges will be added to the invoices. 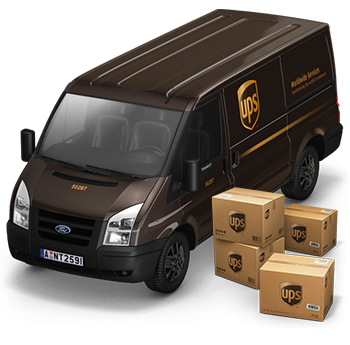 Our available carriers are FedEx, UPS, and DHL. As a general rule of thumb; all received orders that are ground or next day and come in before our shipping deadline of 7:15 p.m. CST, will be shipped on the same business day. Any orders received after the shipping deadline will be shipped out the following business day. Any new customers wishing to open a credit account with us will need to allow up to two working business days for credit verification. Existing EZSeries Touchpanel customers can obtain open credit the same day. In order to take advantage of our same-day shipping guarantee, your order must be paid by credit card or you must have an open credit account with our company that is current and in good standing. If your payment by credit card is declined, your open credit account with our company is past due, or your order amount exceeds your credit limit, there is the possibility that your order may be delayed. Since it is our policy to ship all of our goods FOB Bettendorf, IA, the risk of loss transfers to you once we deliver the goods to the carrier of your choice. To ensure against potential loss or unusual damage to your order, particularly for larger products such as EZMarquees, you have the option to purchase insurance at your expense. If you are interested in purchasing insurance for your shipment, please ask our customer service representative to calculate the cost for you when you are finished placing your order. The cost for the insurance will be added on to your invoice if you decide to purchase it. Allow a sufficient amount of time for your shipment to arrive. Please be aware that various carriers schedule multiple shipments which may delay your shipments. This pertains particularly to overnight packages. If you have reason to believe that your shipment has indeed been delayed you can track your order on-line by accessing our shipment tracking feature. Air shipments to Canada have the potential to be delayed for a longer period of time due to unforeseen delays originating from customs. It may be beneficial to notify your receiving department of the delayed shipment. There are times when receiving may not have had the opportunity to check the shipment in yet or the shipment is merely waiting in receiving to be delivered to the designated party. Please be sure to complete a thorough inspection of all the packages you receive to ensure that you locate any small items that may be concealed by the packing material. It would be in your best interest to inspect all deliveries immediately upon arrival. Please notify us within 48 hours of receipt of your order for any suspected shortages or discrepancies so that we may resolve the issue in a timely matter. Shipping charges are calculated based on weight and additional special surcharges if applicable. • All shipments depend upon stock availability. • No deliveries are made to P.O. boxes. • Delivery times are based upon freight carriers’ policies and procedures. We cannot guarantee delivery times. • Air services may vary by zip code. • Timely delivery of air shipments to Canada cannot be guaranteed due to potential delays in customs. 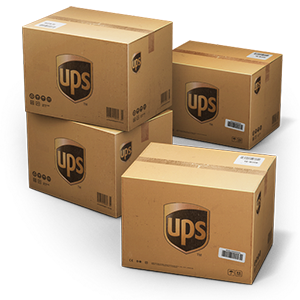 • Same-day shipping only applies to UPS shipments. • For same-day shipping, place order before 7:15pm CST. • We do not ship on Saturday, Sunday or holidays. There is a 30-day money-back guarantee on all of our products which begins 10 days after the date of the invoice. This allotted time period gives you plenty of time to receive and inspect your order and ensure that it was shipped correctly. If you should decide to return the product back to EZAutomation within the 30 day period, you must return the products in their original boxes and in the same condition they were received in. 1. Once you have requested an RMA for your order we will fax or e-mail it to you. Please place it inside a clear packing list envelope so that the return address is clearly visible. 2. Please do not mark or write on the original product boxes as this will incur refurbishing fees. 3. Products need to be returned in the original boxes they came in and in the same condition you received them in. You should include all original documentation, cables, and other components included with the original parts shipment. 4. Shipments should be in an appropriate shipping container to avoid product damage. See “Limits of Liability” below. 5. It is imperative that your return includes only the products that are issued on the RMA. Any other products that are sent without approval will be returned to you. 6. Once you receive the RMA it is important that you return the products within two weeks of the issue date to qualify for a refund or credit. Shipments not following the above procedures may be returned to sender. Restocking and refurbishing charges may incur. If you are interested in saving money on your next purchase with EZAutomation, you may find that our remanufactured parts may be the solution you are looking for. These select re-manufactured parts are only available to our U.S. and Canadian customers. 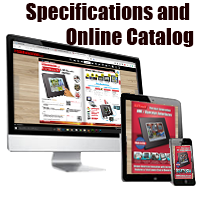 We offer a 20% discount off of our catalog prices of any items that are available and we will give you a full 1-year warranty from the date of purchase against defects and workmanship. (No 30-day money-back returns apply for this offer. )The products are offered on a “first come, first serve” basis while supplies last. To minimize the risk of potential safety problems, you should follow all applicable local and national codes that regulate the installation and operation of your equipment. These codes vary from area to area and usually change with time. It is your responsibility to determine which codes should be followed, and to verify that the equipment, installation and operation are in compliance with the latest revision of these codes. At a minimum, you should follow all applicable sections of the National Fire Code, National Electrical Code, and the codes of the National Electrical Manufacturers Association (NEMA). There may be local regulatory or government offices that can also help determine which codes and standards are necessary for safe installation and operation. Equipment damage or serious injury to personnel can result from the failure to follow all applicable codes and standards. We do not assume any responsibility for your product design, installation or operation. Our products are not fault-tolerant and are not designed or intended for use as on-line control equipment in hazardous environments requiring fail-safe performance, such as in operation of nuclear facilities, aircraft navigation or communication systems, air traffic control, direct life support machines, weapons systems, clutch control systems on presses, in which the failure of the product could lead directly to death, personal injury or severe physical or environmental damage. When possible, our preferred option is to replace the product immediately, even before you have returned the defective product. Products that are returned under warranty (after 30 days) may be replaced with remanufactured goods. 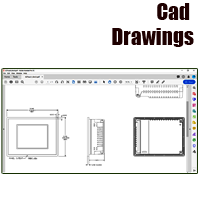 Our website and our catalog contains many product specifications, wiring diagrams, and other information. You should not use these documents for installation, operation or troubleshooting of any equipment. Always consult the appropriate product manual prior to using the equipment. If you have any questions regarding the installation or operation of the equipment, or if you need additional information, please call our Tech Support at 1-877-774-EASY(3279). Although we may initially issue a return material authorization number, it does not guarantee that you will receive a refund or a replacement. If a refund is granted to you and then we find out that the problem originated due to “customer abuse” we will take action to reverse the credit and notify you immediately. EZAutomation does not accept responsibility or issue credit for products damaged in transit for any reason. It is highly recommended that you ensure the product is properly packaged for shipment and that you insure the item, at your expense, for the amount of the potential credit that you are seeking. As to Products sold to Customer hereunder, EZAutomation, shall not be deemed to be held or obligated or accountable upon or under any warranties or guaranties express, or implied, statutory, by operation of the law, or otherwise, in any manner or form, beyond the express warranty that the Products (a) will conform to the description contained in the Manual and (b) will be free from defects in the material and workmanship, under normal use and service when correctly installed and maintained, for a period of TWO (2) years from EZAutomation’s tender of delivery to Customer. EZAUTOMATION HEREBY EXPRESSLY DISCLAIMS ALL IMPLIED WARRANTIES INCLUDING THE WARRANTY OF MERCHANTABILITY. EZAutomation's liability under any warranty is limited solely (at EZAutomation's discretion) to replacing or repairing Products which become defective during the warranty period. Customer shall (1) notify EZAutomation promptly in writing of any claims, and (2) provide EZAutomation with an opportunity to inspect and test Products claimed to be defective. In no event shall EZAutomation be liable for any defective Products if examination discloses that the defective condition of such Products was caused by misuse, abuse, improper installation or application, improper maintenance or repair, disassembly, alternation, accident or negligence in use, improper temperature, humidity or other environmental condition, storage, transportation or handling. Customer hereby expressly agrees to extend a Product warranty to its customers which is in substance and scope, identical to the warranty provided by EZAutomation in this paragraph. As to all factory-made repairs, conversions and modifications, EZAutomation shall not be deemed to be held or be obligated or accountable under any warranties or guaranties express, or implied, statutory, by operation of the law, or otherwise in any manner or form, beyond the express warranty that the repairs, conversions, and or modifications will be free from defects in workmanship, under normal use and service when correctly installed and maintained, for a period of ninety (90) days from EZAutomation’s tender of delivery to Customer. EZAUTOMATION HEREBY EXPRESSLY DISCLAIMS ALL IMPLIED WARRANTIES INCLUDING THE WARRANTY OF MERCHANTABILITY. EZAutomation’s liability under any such warranty is limited solely (at EZAutomation’s discretion) to replacing or repairing the Product or Product component which is the subject of the specific repair, conversion and/or modification. In the event that any such product or component becomes defective during the warranty period, Customer shall (1) notify EZAutomation promptly in writing of any claims, and (2) provide EZAutomation with an opportunity to inspect and test Products claimed to be defective. In no event shall EZAutomation be liable for any defective Products if examination discloses that the defective application, improper maintenance or repair disassembly, alternation, accident or negligence in use, improper temperature, humidity or other environmental condition, storage, transportation or handling. Customer hereby expressly agrees to extend a Product warranty to its customers which is, in substance and scope, identical to the warranty provided by EZAutomation in this paragraph. In the event that a Product or component malfunction leads to damages or injuries to the Product, the Customer’s business, to the end-user’s business, to other equipment, to a factory or place of business, or to employees or other persons, EZAutomation’s liability shall be limited solely to repair or replacement of parts of the Product or component. EZAutomation shall not be liable for such damages or injuries, provided, however, that if a court of competent jurisdiction shall find as a matter of law that any clause of this paragraph is unconscionable, it is agreed that our liability shall be limited solely to a U.S. dollar amount equal to the cost of the malfunctioning product to Customer, less freight and insurance if included in Customer's invoice price and less any depreciation deductions or investment tax credits taken by Customer or another purchaser or end-user with regard to such Product on your or his income taxes. The remedies provided for herein shall be exclusive and shall be Customer's sole remedies. Customer will give EZAutomation notice in writing of any objections to incomplete delivery or deliveries of defective Products within ten (10) days after delivery thereof. EZAutomation will promptly undertake to remedy same in such manner as may be appropriate. No Products shall be returned to EZAutomation without EZAutomation's prior written consent. Revocation of acceptance by Customer of the Products must also be in writing within ten (10) days after delivery of the Products to Customer. It is expressly understood between Customer and EZAutomation that this Agreement does not give Customer any right or authority to act for or represent EZAutomation or EZAutomation’s affiliates or to pledge EZAutomation’s credit or contract any liability whatsoever on EZAutomation’s behalf. It is understood that this Agreement does not confer upon Customer any authority to warrant any Product sold hereunder, or to make any adjustments on EZAutomation's behalf in connection with Products sold by Customer without EZAutomation's express written consent. No action for breach of the contract for the sale of EZAutomation products shall be commenced more than one year after the accrual of the cause of action thereof. The following procedures apply in all transactions involving service and repair of equipment under warranty. Service at Customer’s site is provided at Customer’s expense. 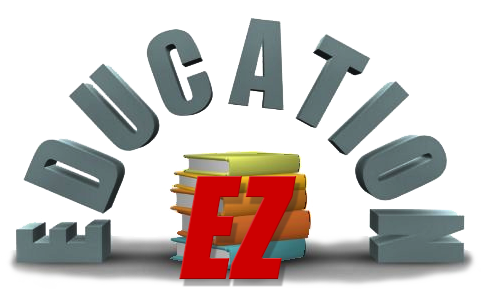 Charges for service calls are as per the applicable revision of the Field Service and School Rate Charges document, which can be obtained from EZAutomation’s Customer Service. All equipment returns to the factory for warranty repairs must be authorized by the Customer Service Department.  The cost of shipment of the Product or components from the Customer's site to the factory at 4140 Utica Ridge Road, Bettendorf, Iowa 52722, is the Customer's responsibility. Products or components repaired under warranty shall be returned to Customer by regular surface transportation at EZAutomation's expense. Other modes of transportation requested by the Customer shall be at Customer's expense. Products or components returned to EZAutomation without prior authorization will be refused. Products or components returned to EZAutomation for warranty repairs with “Bill Recipient” shipping instructions will be refused unless prior arrangements have been made in writing with EZAutomation regarding payment of the inbound transportation costs. The remedies set forth in the Warranty Policy are the only remedies available to any person for breach of warranty. EZAutomation shall have no liability to any person or legal entity for indirect, incidental or consequential damages of any description, whether arising out of warranty or other contract, negligence or other tort or otherwise. EZAutomation further disclaims all responsibility for any problems, injuries or claims arising from misapplication of its products, and for uses of its products in a manner inconsistent with published specifications and operating instructions. All inquiries regarding warranty service and repair should be directed to the Manager of Customer Service, EZAutomation. All notices that are required, or that may be given pursuant to this Agreement, shall be sent by registered or certified mail, return receipt requested, or by facsimile, to the addresses listed above or such other address and person as either or that parties may from time to time specify to the other in writing. A notice shall be deemed to have been given on the date of mailing or on the date of dispatch of a facsimile with confirmed answer-back. Purchases under this Agreement constitutes the entire understanding between the parties and replaces and supersedes any prior agreements between the parties. 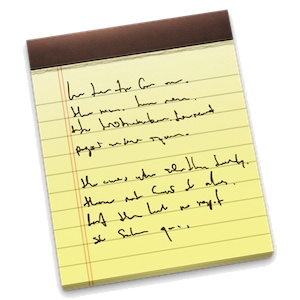 This Agreement may not be changed, modified or amended except by an instrument in writing signed by Customer and EZAutomation. This Agreement shall be interpreted for all purposes in accordance with the laws of the State of Iowa, and unless otherwise defined hereunder, all terms used herein which ore defined in the Iowa Uniform Commercial Code (the “Code”) have the same meaning hereunder as in the Code. Our website and catalog contains references to other companies in the Automation field. Their company names, products and product trademarks are their sole property and we disclaim any proprietary interest in these trademarks and names. We also use published information on competitive products and are very careful about verifying this information before we put it in the catalog. We are quite thorough in this respect and maintain published documents in our files at all times. If we have made an inadvertent mistake, please bring it to our attention and we will do our best to correct the mistake in a timely manner. All EZAutomation products with a TM suffix are those products where we claim to have a trademark to be registered at appropriate time. EZAutomation constantly strives to better our products and services and therefore we reserve the right to make changes to our products and terms and conditions of their sale, at any time without prior notice and without any obligation. 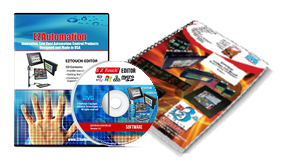 EZAutomation also makes no representations or warranties, expressed, implied or statutory with respect to information in this catalog. Copyright 2005, AVG/EZAutomation All Rights Reserved No part of this publication shall be copied, reproduced, or transmitted in any way without the prior, written consent of AVG/EZAutomation. AVG/EZAutomation retains the exclusive rights to all the information included in this document.